TSX penny stocks trade on the Toronto Stock Exchange for pennies, or as much as $5. For example, BSM Technologies (symbol GPS) trades below a dollar, while Pulse Seismic (symbol PSD) trades above $2. These aggressive investors think the best way to profit in stocks is to buy them when they are just barely starting out on a growth phase—a growth phase they hope will last for years if not decades. Ideally, they want to buy the future top performers when they are still near or close to the penny stock range and have yet to be discovered by the broad mass of investors. There is money to be made in TSX penny stocks—but the odds are you will lose more often than you win. If you decide to start investing in TSX penny stocks, below are 14 penny stock tips you can use to make the most sound investment decisions. Only start investing in the most speculative TSX penny stocks with money you can afford to lose. Ultimately, Canadian penny stocks should only be a small part of any diversified portfolio. Spread your TSX penny stocks out across different market segments. 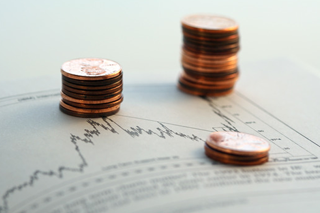 When making a list of penny stocks, we recommend investing in a range of market segments. This includes software, biotech, technology, mineral exploration and so on. Look for a solid balance sheet when investing in TSX penny stocks. High-quality penny stocks should have reasonably sound balance sheets with moderate debt. It’s even better if they have a major partner who can provide the financing needed to bring the penny stock’s product to market or its mine into production. Grandiose prbuildinomotion most often equals a bad penny stock. If you let the media hoopla taint your investment decisions, you increase your risk of blundering into a promotional stock rather than a true investment. Beware high-tech penny stock shams: It’s easier to set up a company and sell stock to investors than to perfect a technological breakthrough. Be especially wary when tech penny stocks splurge on elaborate websites and glossy investor brochures. Watch out for acquisitions. Acquisitions can bring “time-bomb” risk. Companies sometimes grow quickly by buying other companies. But it may also be the case that those selling the companies may simply want to bail out of a losing situation. Diversify when investing in tech penny stocks. The high-tech sector has more than its share of winners and duds. So when making your list of TSX tech penny stocks, pick 5 to 10 instead of just one. You then have a better chance that gains on your winners will exceed your losses. Focus on up-and-coming technologies. To do this, you need to know how technology is changing. For instance, the immense popularity of wireless devices, such as the iPhone and tablet computers, has stepped up demand for faster, more reliable wireless networks. Buy multi-product tech penny stock companies. Technological advances come in spurts, and they leapfrog each other. Focus on investing in tech penny stocks that have some existing or soon-to-be-released products, and avoid one-hit wonders. Look for earnings or cash flow. A perpetual money loser will eventually go broke, no matter how impressive its technology. But if it makes even a little money, it can stay in business and perhaps reap the bonanza of a new product. Be especially careful with penny mining stocks before investing. It is sometimes said that a single drill hole has a 1-in-1,000 chance of turning up an “anomaly,” or a drill result that could be a marker for a mineral deposit. However, the odds against building a mine on any one anomaly are also about 1,000 to 1. So, the odds that a particular drill hole will lead to the discovery of a valuable mineral deposit are about a million to 1. That’s why we never recommend TSX penny mining stocks that have much or all of their value riding on a single drill hole. Instead, we want to see a series of promising drilling results, along with other encouraging development work. Avoid investing in penny mining stocks that trade at unsustainably high prices. They may be high because of broker hype or investor mania about the underlying commodity (such as gold). Instead, we focus on reasonably priced penny mining stocks with favourable geology. Be wary of investing in penny stocks with promotions that involve the announcement of “deals” with major, well-known companies. When they get a deal—often in reality just an informal alliance or distribution plan—with a major company, promoters go to great lengths to make it seem bigger than it is. Instead of announcing that the big company has invested, say, $50,000, penny stock promoters may issue a press release that says the two companies have entered into a “multi-stage development plan.” In fact, this is when it’s a good time to sell, not buy. Apply our sell-half rule. Selling half your holdings after you double your profits on TSX penny stocks is a good strategy for any high-risk investment, but especially so for penny stocks. This can give you a clearer perspective on what to do with the other half of your investment. After all, if you are too slow to sell speculative stuff, your profits and even your principal can evaporate all too quickly. If you lose money investing in TSX penny stocks, you may think your main mistake was bad timing. That’s a misconception. You can get lucky in making a list of penny stocks, just as in lotteries. But if you play long enough, the “house odds” eventually triumph over any run of luck. In penny stocks or games of chance, the odds are against you. The longer or more often you play, the likelier you are to lose. What was the biggest penny stock winner you ever had? Have you lost money in penny stocks? What went wrong? This article was originally published in 2017 and is regularly updated. gold, mining, stock tips, stocks, tsx, mining stocks, diversified portfolio, balance sheet, cash flow, Penny Stocks, bsm technologies, canadian penny stocks, investing, pat mckeough, penny stock promoters, quality penny stocks, stock exchange, tsx penny stocks, a list of penny stocks, commodity, investing in penny stocks, investment, list of penny stocks, mckeough, penny mining stocks, penny stock companies, penny stock tips, penny stocks in canada, penny stocks tsx, portfolio, stock promoters, stocks in canada, tech penny stocks, the toronto stock exchange, canadian, high risk investment, inc, tech penny stock, toronto, toronto stock exchange, value.